A bit of good news and bad news for owners of both the BlackBerry Storm 9500 and 9530 models. Which do you want to hear first? OK, the good news it is. There is now a leaked version of OS build 4.7.0.141 for both devices. The bad news? There is now a leaked version of OS build 4.7.0.141 for both devices. In other words, this again is not an official release from Verizon, Vodafone or any other carrier and that spells danger for those who upgrade their Storm OS with this leaked software. To reiterate, most carriers will consider your warranty to be null and void if you download an unofficial OS to your device. And the unit itself could end up bricking. This is why many owners of the Verizon version of the first touchscreen BlackBerry are getting frustrated watching Canadian carriers like Bell and Telus offer carrier approved upgrades of the Storm OS. Those who have taken the risk and have put the latest OS version on their Storm continue to say that it is like a brand new phone with the latest software powering the handset. Furthermore, the next official upgrade will feature a virtual QWERTY keyboard in portrait mode and an improved method for the cut and paste function. One interesting tidbit is that when BGR's tipster close to Verizon got an email on Tuesday saying that Big Red was going to alert its Storm owners about an impending OTA upgrade, the version that the carrier was expected to put its' seal of approval on was .141. Now that this build has been leaked, will Verizon finally just go ahead and rubber stamp it, or will an even higher build get the final OK? 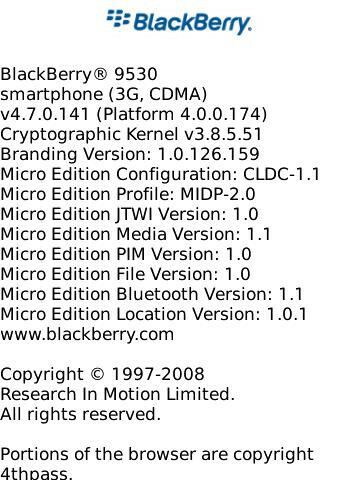 But what issues do the blackberry storms have? i totally agree. I rarely have any issues too.